didn't have much time to move on this deal. 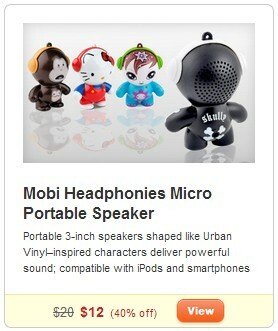 I discovered that Groupon was selling these really cute speakerphones for $12 instead of the List price of $24. So I thought, great, I can use my Groupon coupon and get these for $2.14( with tax). As if that deal wasn't enough, I went through the Ultimate Rewards Portal to receive 5 points per dolar (80 cents value) and then used my Vanilla Gift Card that I bought at office depot for 5 points per dollar, to pay the $2.14. 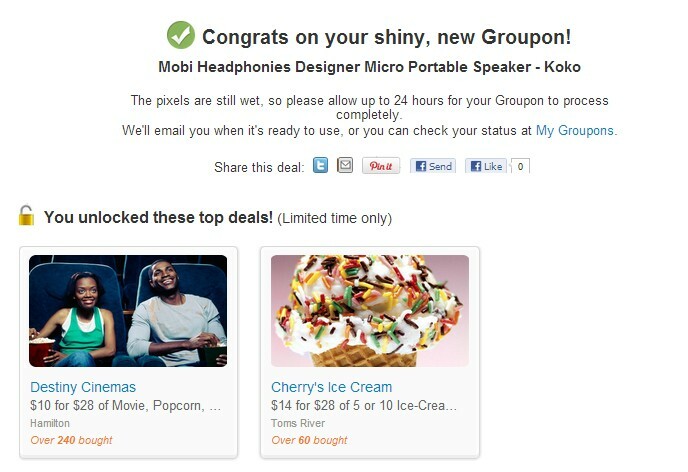 Apparently, after you have purchased a groupon, this will unlock special offers for you. See below. Did any one you get the $10 Groupon Coupon? What did you purchase?